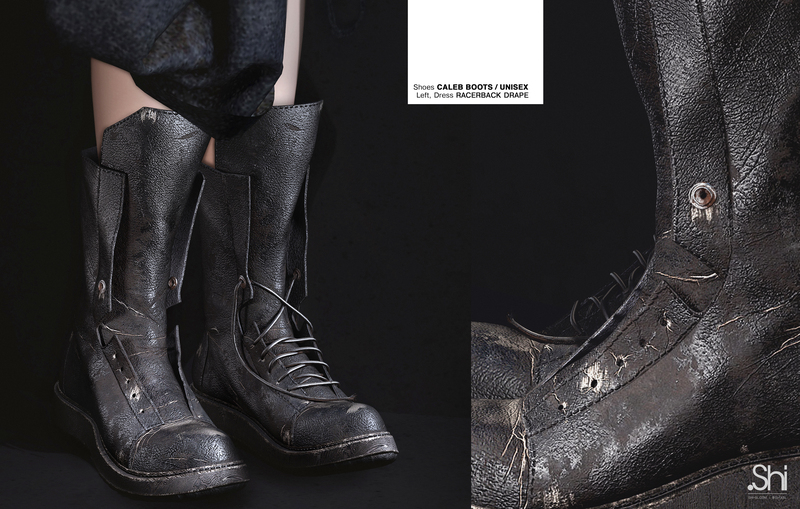 New “CALEB” Unisex boots available now at TMD event. We present you 2 versions of the “Caleb” combat boots, cohesively designed and textured with intricate details to present degeneration. Caleb here represents a biblical figure who walked in faith and entered the promised land despite all trials and adversaries. 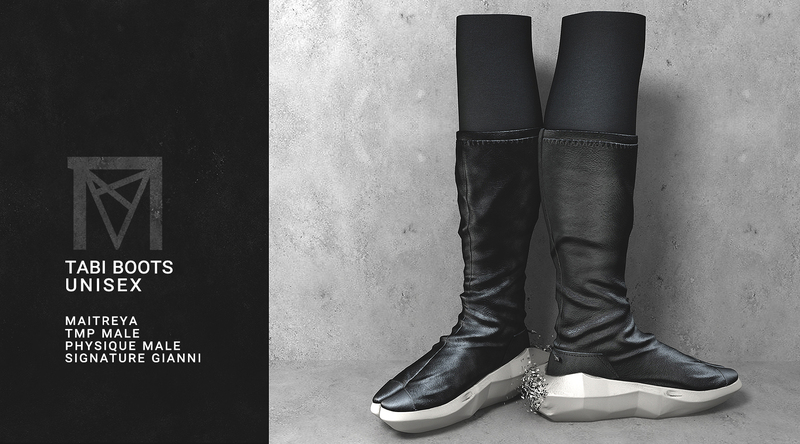 “Tabi Boots” is a unisex boots inspired by Jika-tabi – a type of outdoor footwear worn in Japan. 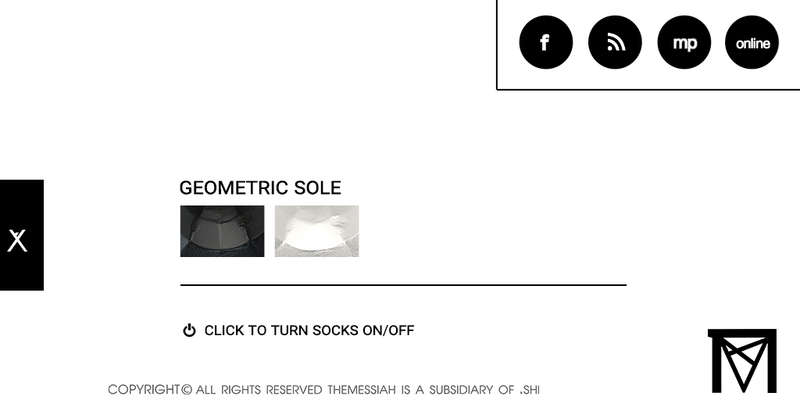 With Dystopian Minimalist in mind, this pair of leather high top is designed with a disintegrated geometric sole and optional socks that can be turned on or off via HuD. We have included a demo with all colors available via HuD, therefore please do try it to ensure it fits your preference before purchase. Note that the final purchase includes modify permissions. “Sabre” – Inspired by sabre tooth this is a unisex minimal earring designed with an effect of disintegration. “Ginosko” speaks of knowledge that goes beyond the mere factual and into the realm of the experiential. The experience of knowing that we are loved by The Most High that keeps us in divine protection from the darkness that fills the earth. “Ginosko” is a unisex necklace, harness inspired designed to be worn as an accessory to mix and match with your apparels. This is a mesh un-rigged item, available in 4 colors, Black, Camel, Dark brown and Crimson. Also includes 2 versions, shaped separately for male and female as well as a with and without tassels attachment. Both Male and Female versions are shaped differently to fit better around the chest and neck respectively. 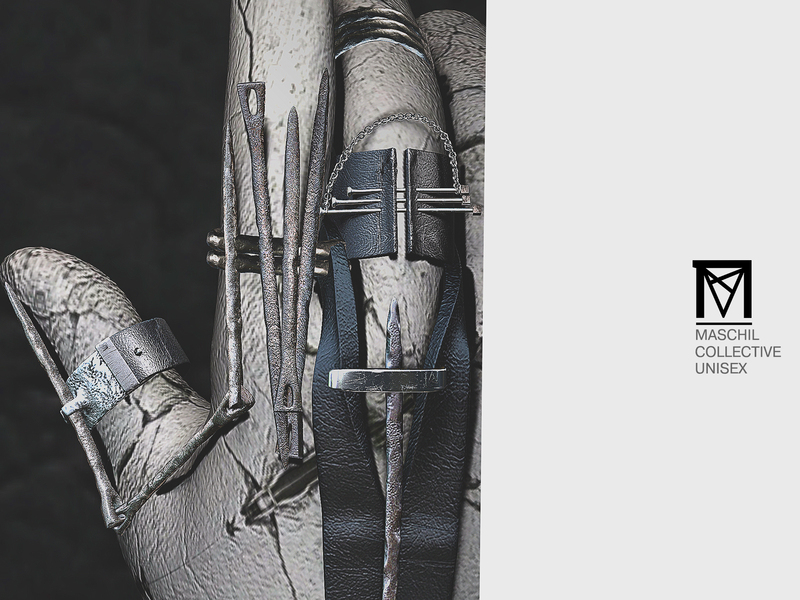 All versions includes a with/ without tassels attachment. 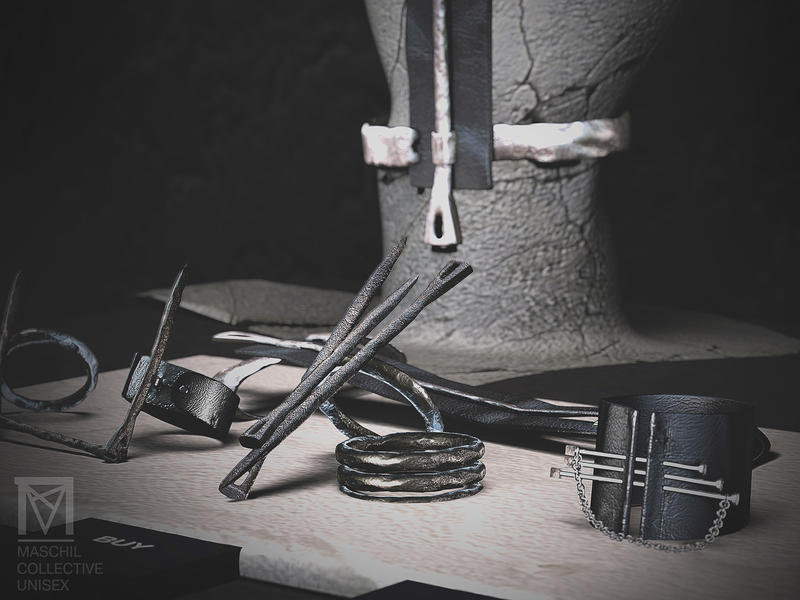 The accessory have been fitted with and without the following mesh bodies: Maitreya, Belleza, Physique Hourglass, TMP, Physique Male and Signature (shouldn’t be a problem fitting most as item is an unrigged mesh with re-sizable script). Nevertheless, we have included a demo therefore please do try it resize it to your preference before purchase. Note that the final purchase includes modify permissions. “Maschil” means with wisdom. May we apply wisdom in all things we set our heart and hands to do. 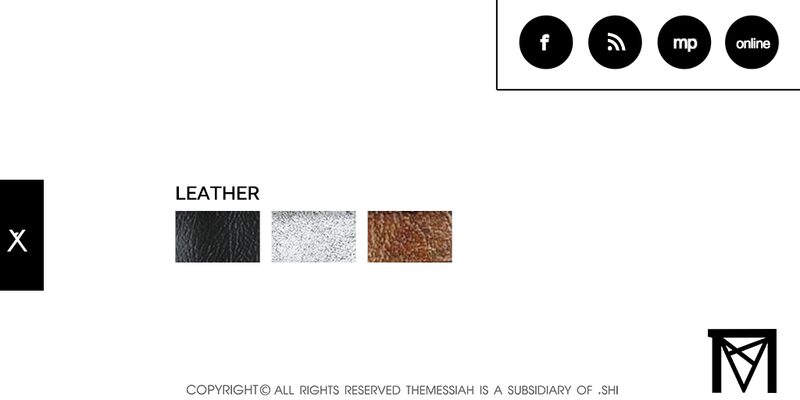 All leather parts includes 3 color leather option via HuD. *Note: Removable scripts included for all items.